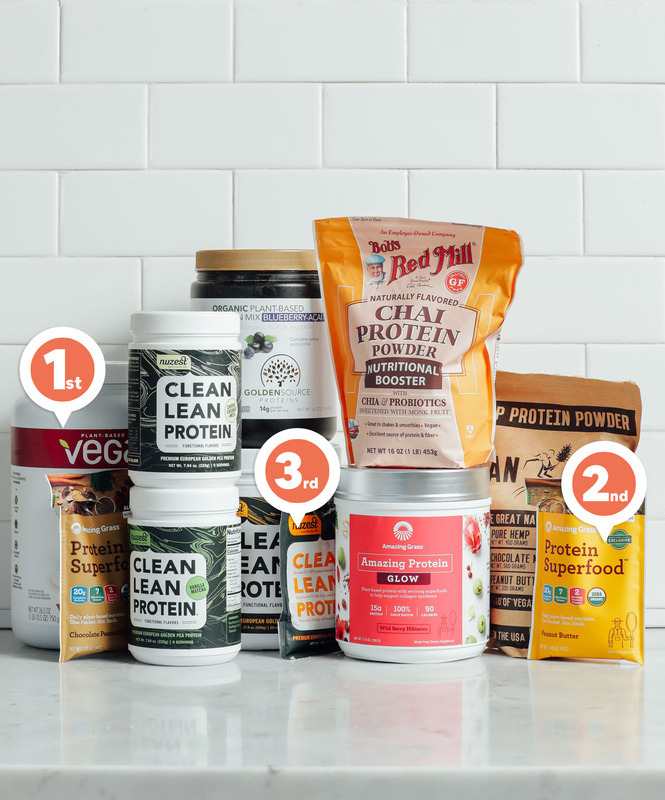 We tested 11 protein powders, and only ordered protein powders we could find on Amazon because they are most accessible and usually have the best prices. This review is not sponsored in any way and we were not given free product or compensated for any of our reviews. We had no contact with any of these brands. We excluded any products containing artificial colors or flavors and did our best to include products with high-quality ingredients. There has been increased concern about potential for heavy metal contamination in protein powders. 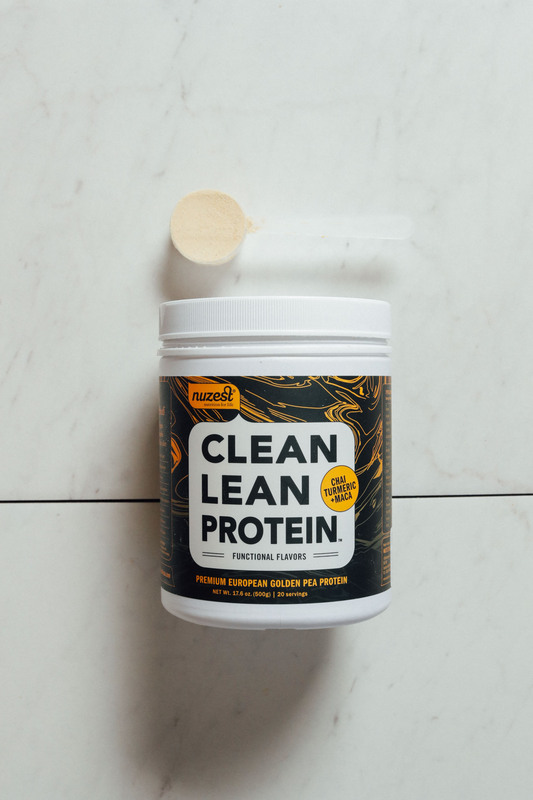 Unfortunately, not all of the brands on the market have been tested so it is hard to know whether this is a problem with protein powders in general or specific brands. Our understanding is that manufacturers are “prohibited [by the FDA] from marketing products that are adulterated or misbranded.” We did our best to select brands with integrity and high-quality ingredients. Overall flavor: 4.5 – seriously good and very apparent caramel flavor although noticeably artificial tasting. A slight hint of coffee, which is pleasant. How well it tastes/blends with smoothies: 4.5 – Smells too sweet. Salted caramel flavor is really apparent, even over the banana. Slightly too sweet, but overall really good (a little too good, like…“How’d they do it?”). Overall impressions: The caramel flavor is apparent. And although slightly manufactured, it’s surprisingly tasty. The coffee flavor is very slight and pleasant. Although not the most “natural” option, overall really impressive. If you’re trying to replace your caramel frappuccino habit with something healthier, this is it. How well it tastes/blends with smoothies: 4.5 – slightly too sweet with banana, but the peanut butter flavor is nice. Creamy. No bitterness. Overall impressions: Really nice flavor and smooth texture with a very slight Stevia aftertaste. Really good! 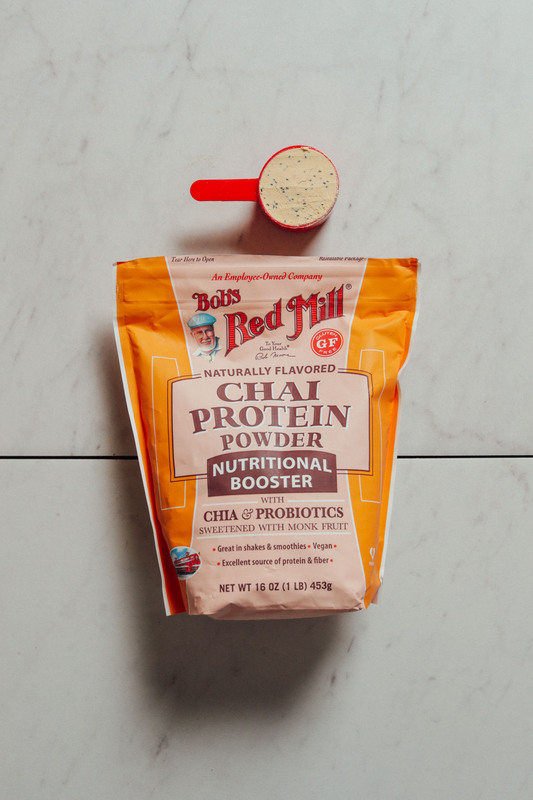 How well it tastes/blends with smoothies: 4.5 – really creamy; chai flavor is present over the banana. On the sweeter end, but not overwhelming. Really good overall. Overall impressions: Has a pleasant coconut flavor, nice chai flavor, and good level of sweetness. However, it is slightly artificial tasting. How well it tastes/blends with smoothies: 4 – Really good overall. Has an artificial strawberry flavor. Slightly too sweet. Very creamy. No bitter aftertaste. Overall impressions: Smells really good. Looks like strawberry milk when mixed, but quite pale as a powder. It has a slightly bitter aftertaste and the strawberry flavor is off and tastes artificial. Sweetness: 3.5 – simply too sweet. The aftertaste isn’t unpleasant per-say, but it is over-sweetened. Overall flavor: 4 – if you like matcha, you’ll enjoy this. But the sweetness and artificial vanilla flavor overpower the matcha flavor. If you don’t enjoy matcha, this may taste a bit earthy for you. How well it tastes/blends with smoothies: 3.5 – the matcha / vanilla flavor is present over the banana. Creamy, but definitely too sweet. Slight bitterness / artificial sweetness at the end. Overall good, we just wish it wasn’t so sweet. Overall impressions: You’ll either like it or not, depending on whether you’re a fan of matcha tea. One taste tester enjoyed it for this reason, the other did not. It’s definitely too sweet, but has no bad aftertaste and boasts a great texture. Unfortunately, the vanilla flavor was overly pronounced and noticeably artificial. How well it tastes/blends with smoothies: 4 – Smells like a coconut candle. Creamy. You can taste the coconut and it’s pleasant. But overall too sweet. Overall impressions: Coffee and coconut flavors are pleasant but sweetness and vanilla are overpowering and noticeably artificial. Could be really great for those who love blended and/or sweeter coffee drinks. How well it tastes/blends with smoothies: 4.5 – Better blended with a smoothie. Peanut butter flavor is more detectable. The chocolate flavor isn’t very present. Slight greens aftertaste, but not too sweet and very creamy. Overall impressions: Underwhelming considering the peanut butter flavor from Amazing Grass was so good. This lacked strong chocolate and peanut butter flavors and left us wanting more. Overall flavor: 3 – weak fruit flavor but not unpleasant. Fruit flavors fail to cover up the protein taste. How well it tastes/blends with smoothies: 3 – Better in a smoothie, but still chalky with a slightly medicinal taste. Smells like a Flintstones vitamin. Fruit flavor is pleasant and detectable, however a bitter aftertaste quickly overpowers it. Overall impressions: Not bad, but not great. 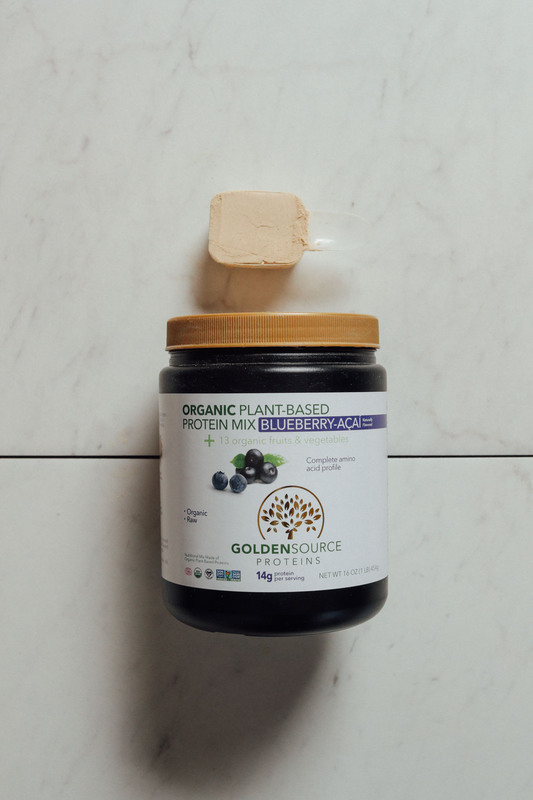 We love that it’s a natural blueberry taste (unlike most other fruit-flavored offerings). How well it tastes/blends with smoothies: 2.5 – Smells like a vanilla Christmas candle. Too sweet. Texture is okay but it tastes artificial and off-putting to the point of being unpleasant. Overall impressions: Underwhelming. Chai flavor is off and tastes rather artificial, but the texture is good. 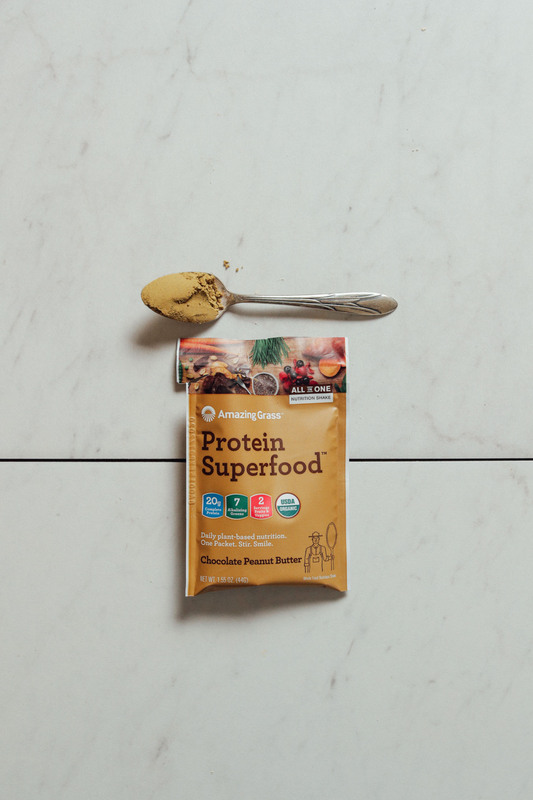 How well it tastes/blends with smoothies: 3.5 – Smells really good and peanutty. Slightly gritty. 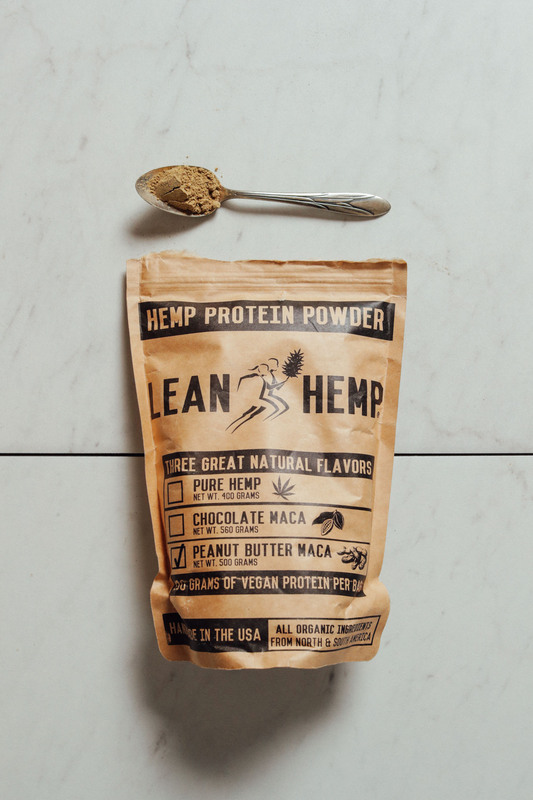 Maca flavor is overpowering. Not too sweet. Overall impressions: Not offensive, but not very pleasant to drink. Wish the peanut butter flavor was more present. Has more potential added to a smoothie than mixed with dairy-free milk. Kind of underwhelming. Overall flavor: 1.5 – very overwhelming fruit / berry flavor. Manages to be tart, a bit bitter, and a little reminiscent of Pepto-Bismol. How well it tastes/blends with smoothies: 4 – Way better as a smoothie; more palatable. But the fruit / tartness is still overwhelming, as is the sweetness. Not pleasant. Overall impressions: Smells amazing but quickly disappoints when you taste it. It’s just all around overwhelmingly sweet and fake tasting. And it has a very strong aftertaste. We tried to be extremely honest in this review, which is why it seems like a lot of the feedback was critical or negative. That’s because we honestly didn’t like many of the protein powders we tried. But the standouts are definitely the top 3! 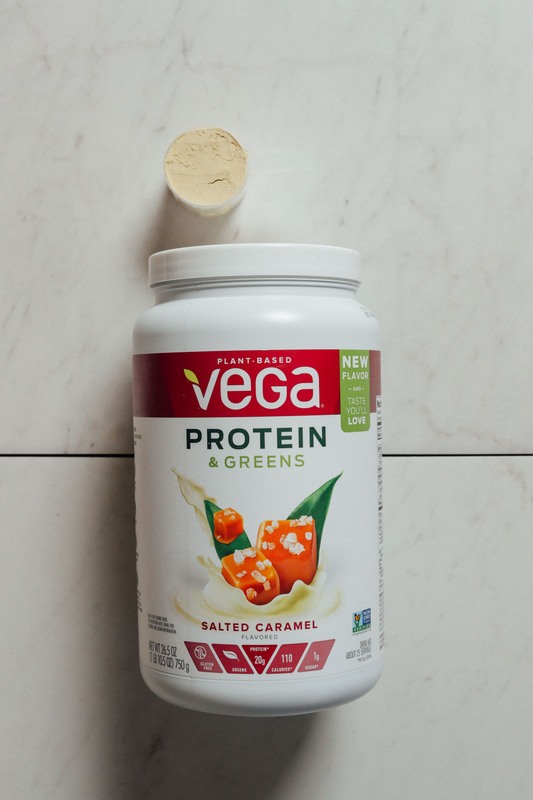 Just bought the Salted Caramel Vega protein on Thrive Market – Excited to give it a try! 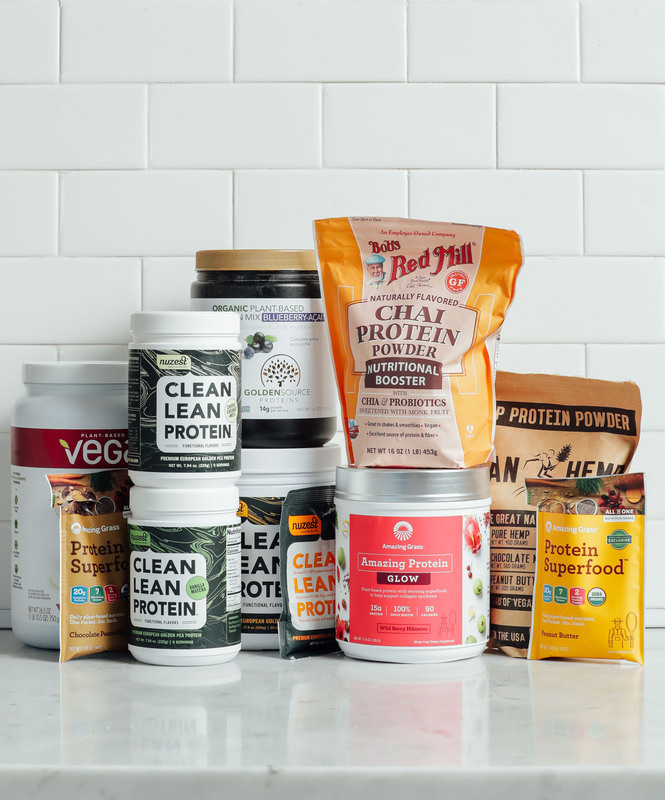 I am curious as to why Garden of Life raw, organic, plant based protein powder was not included. By itself the taste requires patience but with the addition of banana and pineapple, the latter an incredible “deal maker” for palatability, it is very do-able. Nestle, I believe, purchased the company several years ago and has thus far maintained the integrity of the product. There are no chemical additives with the important advantages of being plant based, organic, (GMO free does NOT mean Round-up/Glyphosate free) and raw. Heat kills a lot of nutrients so while protein from questionable sources with questionable additives are available, Garden of Life, in my humble opinion, is at the top of the list both for protein, as a meal replacement and as a healthier option. Thanks for sharing that! We didn’t include it because some of their other blends contain erythritol, which can disrupt digestion. But the Chai Vanilla doesn’t appear to! We’ll keep it in mind for future reviews in that case! Thanks, Leslie. I just discovered I have food sensitivities to PEA and Peanut (among other foods). My protein powders are going to be shelved for 3 months. But I can’t find a protein powder without pea protein and peanut. Any suggestions? Hmm, have you ever just tried just adding nut butters or seeds to your smoothies? We have a chocolate protein shake coming up that’s powder-free so hopefully that will be helpful! Hi, what is it with the protein powders? Vegans get plenty of protein & it’s not necessary to supplement (check the research). Just a question – are you still a committed vegan as I’ve seen some comments to the contrary on the internet & it would be nice to know for sure. Hi Gill, there is a mention in the blog post about how much protein we need and when a protein powder might be useful. To answer your question, I am no longer eating a fully vegan diet. 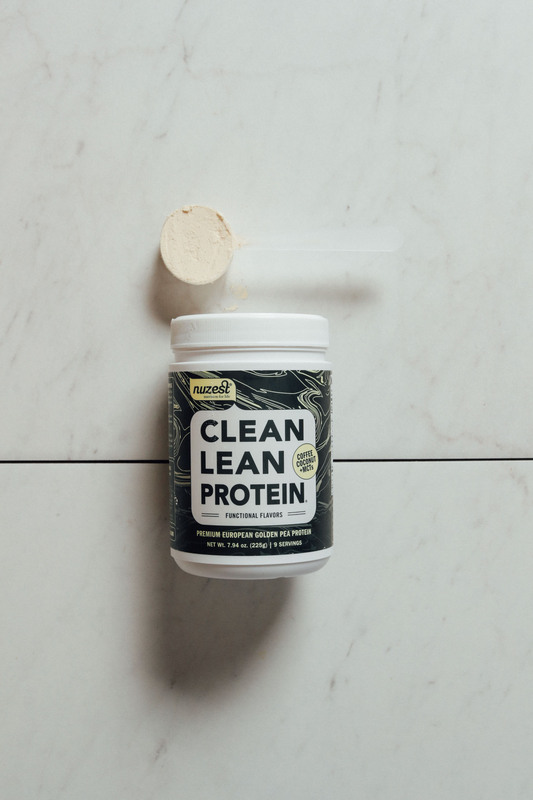 I’m shocked that you didn’t test the Tone It Up protein powders. They are available on Amazon and at Target, and come in vanilla, chocolate, coconut, peanut butter, salted caramel and coffee. 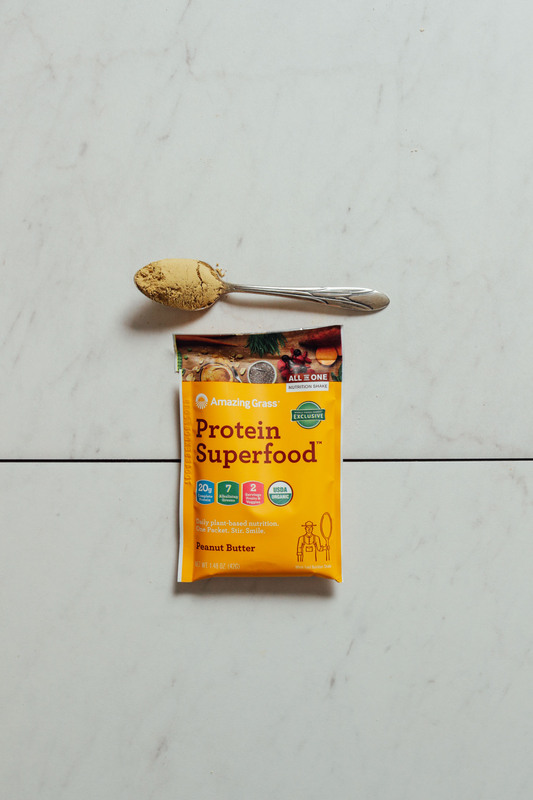 They are pea and pumpkin protein based, sweetened with monk fruit, and about 15 grams protein and 90 calories. 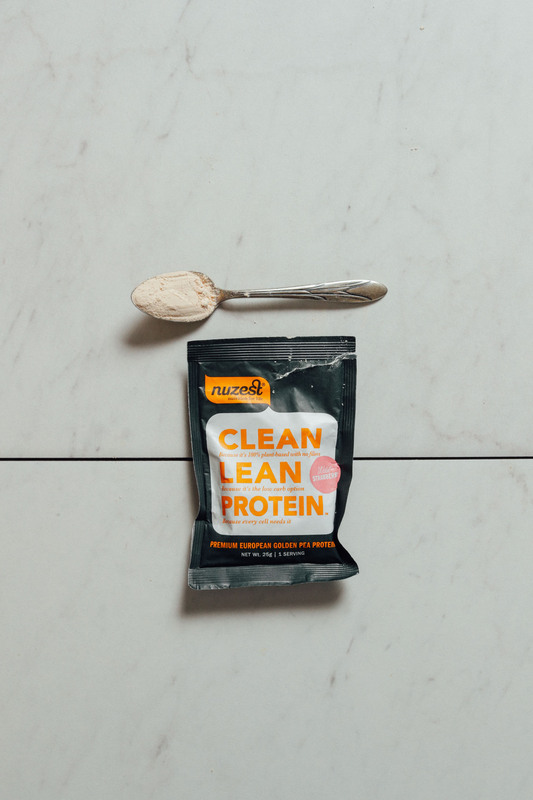 The Tone It Up protein powders are seriously good, even mixed just with almond milk. Please try them! Thanks for the reminder! I have tried their vanilla in the past, but haven’t tried the flavored ones. Thanks for the suggestion! Thanks for the review! 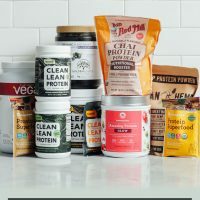 Any recommendations for unsweetened protein powders? Those with stevia and monk fruit are too sweet to me for fruit smoothies. Wow, Dana! Thank you guys so much! I have a teenager desperately trying to gain weight (can’t even imagine 😂,) and I was just about to dive down this rabbit hole. PS Mmmmm…. Finstones vitamins. Used to LOVE them. Ha, I used to hide my Flintstone vitamins around the house because I hated them so much, lol. Would love to see a non flavor review! Especially for smoothies. It’s hard to find one to add for the extra protein without a weird aftertaste. Smart! Thanks for the suggestion! I don’t eat any protein powders. Should I? I normally have a glass of freshly made vegetable/fruit juice, and a green smoothie (kale or spinach+3 bananas+fruit+peanut butter or cocoa, etc. ), and then some veg lunch and veg dinner (these vary). How would I know if I’m getting enough proteins? I’ve been eating this way for years, but could I not know that I’m protein deficient? Thanks in advance! 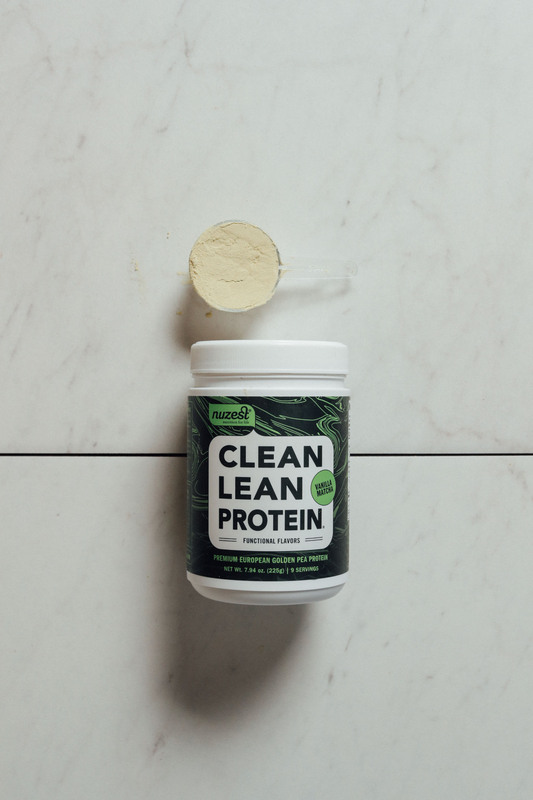 Majka, you can see some notes in the post (above) on why we need protein, how much we need, and when protein powders can be helpful! Your recent reviews of protein powders are so helpful, as most mornings I have a green smoothie for breakfast with added protein powder. 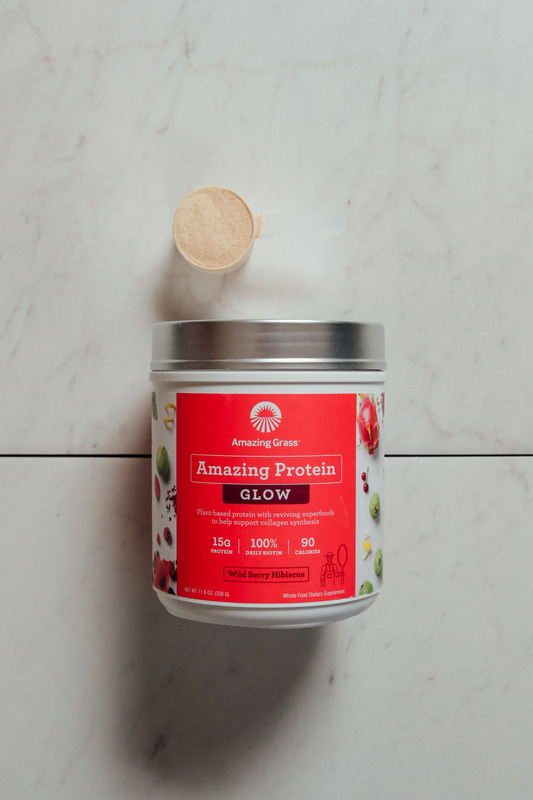 Generally, I use unflavored protein powder and let the fruit “do the talking.” I am hoping that a review of unflavored protein powders will be next on your list. At the same time, from your reviews I have added a few flavored options. Thank you. Thanks for sharing! We’ll keep an unflavored review in mind! interesting but I wish you had 1. tried Orgain and 2. used another non-dairy milk option, i think cashew milk has to be the one of the more obscure choices. Wouldnt almond, flax, or coconut milk all be more popular with consumers? thanks though. The non-dairy milk isn’t really the important part. I’ve tested protein powder in the past with almond, too. We will keep Orgain in mind for future reviews! I love your reviews. You do a super great job. Thank you very very much. If you ever have time could you please try the different protein powders available at Trader Joe’s and review them. I’m particularly interested to see what you think about their organic unsweetened pea powder. If you can’t, I totally understand. Thank you for improving the quality of my life significantly. I don’t have an oven and I have many food allergies. Because of your amazing recipes and food knowledge I have a much more varied diet. Thanks again! We’ll add that to our list! Thanks, Al. I love this roundup! It was helpful knowing what flavor smoothies i’d Use them in the most and accessibility on Amazon is PERFECT!! Thank you! What a great resource! I hope you will consider doing something similar for unflavoured protein powders. Trying a new protein powder is scary! If you don’t like it you’re pretty much stuck with it for months OR you’re out $50+! Great suggestion! Several others have asked for that, too!